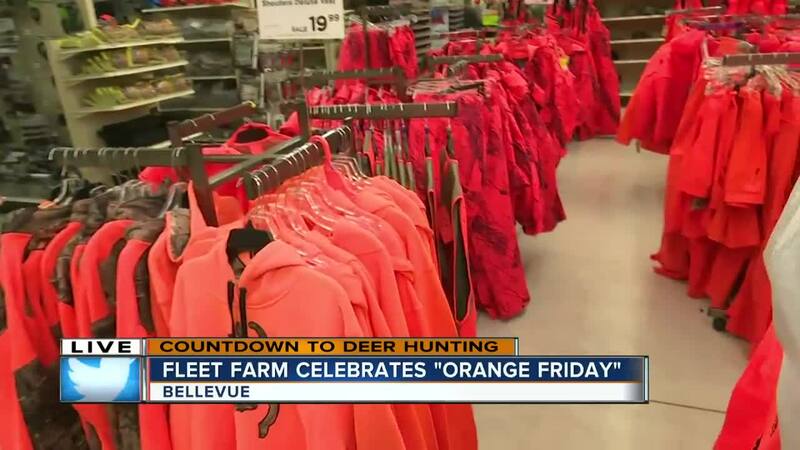 Fleet Farm celebrates day before gun-deer opener with "Orange Friday"
Much like the holidays to the way, "Orange Friday" at Fleet Farm comes just once a year, the day before the gun-deer season opener. Fleet Farms across the state opened their doors for business an hour earlier at 6 a.m. Friday. They welcomed hundreds of customers with freebies such as hats, scratch offs and coupons. 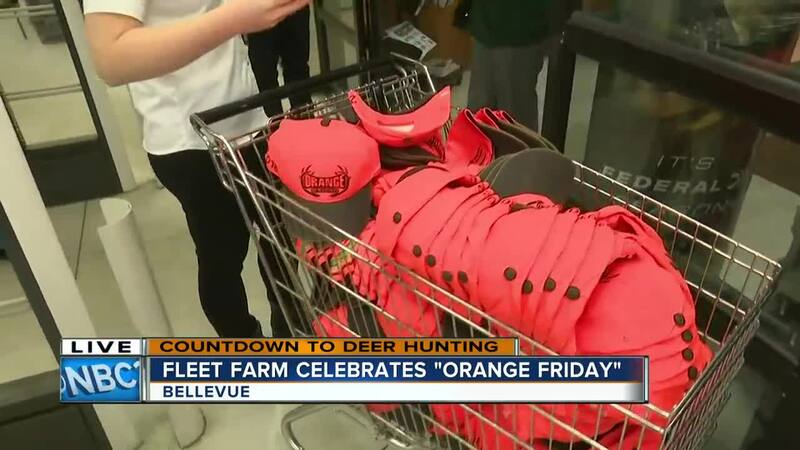 General Manager of the Bellevue Fleet Farm, Scott Paul, says Fleet Farm coined the "Orange Friday" phrase the past five years, but they've been recognizing the day for nearly the past 37 years he's been at the store. He says it's a great way to kick off the season whether you're grabbing last minute hunting needs or getting a start on Christmas shopping.